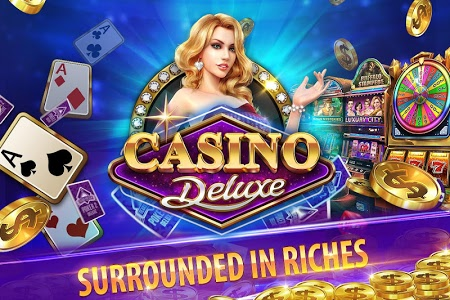 CASINO DELUXE - FREE VEGAS STYLE SLOT GAME! Enjoy your favorite Slots in Casino Deluxe, the best free online Las Vegas Casino Slots game! Experience the thrill and excitement of realistic Las Vegas casino action! Featuring all-time casino favorites like Slots, Video Poker, Blackjack, and more, this is the casino experience you’ll never forget! What are you waiting for? 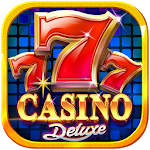 Install Casino Deluxe for free now! ► An Entire Casino in one App! Can’t choose your favorite casino game? Fret not! Casino Deluxe gives you the chance to WIN BIG in Slots, Blackjack, Texas Hold'em Poker, Video Poker, Roulette, Bingo, Baccarat, and more! ►Exciting slot machines with exclusive Feature Games! 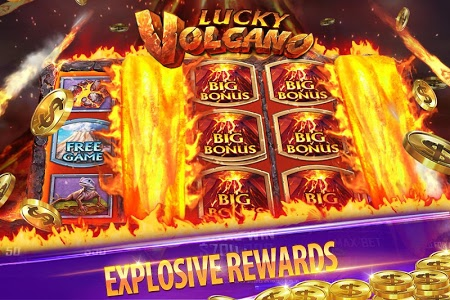 Featuring exclusive casino favorite slots like the Lucky Volcano, Spooky Spinners, Jackpot Diamond, Zeus Wild, Buffalo Stampede, Rage Of Sparta, and many more to come soon! 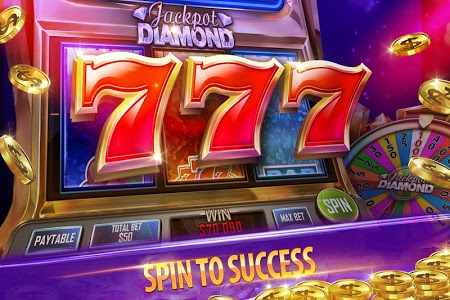 ►Slots Tournament and Progressive Jackpots! Join real-time slots tournaments and compete against the best players in the world for the elusive grand prize! Try your hand at the slot machines and score the biggest win of the day by winning the progressive Jackpot! ►Live-Play Texas Hold'Em Poker with other players in real time! Texas Hold'Em Poker offers different game modes like Classic, Sit and Go, Shoot Out and supports multi-table plays. ►Social Gaming on the go! Invite all your friends or make new ones in Casino Deluxe! Win bragging rights by sharing your best hands and biggest wins on social media. Enjoy bonus rewards by signing in daily. You’ll never play alone again! Download now and get ready for a blast! This isn’t any casino. This is Casino Deluxe! 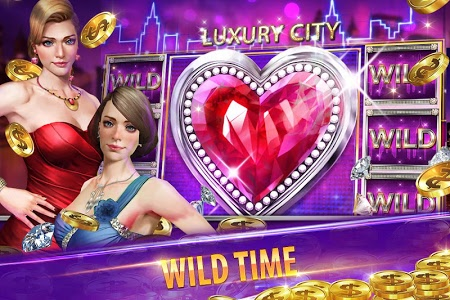 This game is intended for adult audience and does not offer real money gambling or any opportunity to win real money or prizes. Any success in social casino gaming is not indicative of future success at real money gambling. Improved performance and other areas based on player feedback. Please provide us with more feedback, and we will continue to improve on the game. 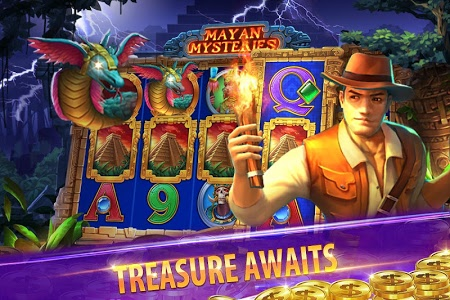 Similar to "Casino Deluxe - Free Slots & Vegas Games"